This spacious 3 bedroom apartment, with open plan living, 2 outside decks with BBQ and a large kitchen, offers comfort and easy living. 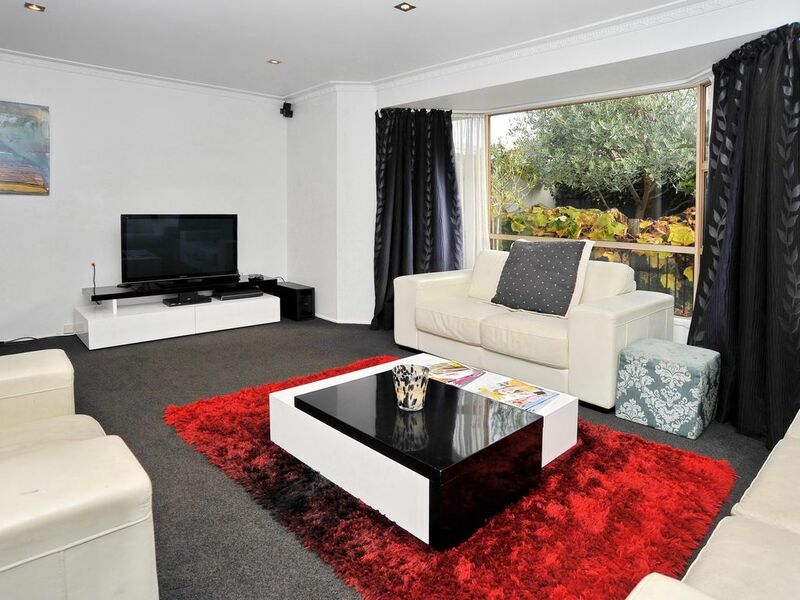 Close to Merivale shopping center which has excellent shopping and lots of restaurants and cafes near by. The apartment has spacious gardens and outdoor seating areas, it is located in a residential are and is down back section so lovely and private. Please inquire with us regarding pet as this house may accommodate your furry family too. Had to request more towels, rubbish bags, more glasses and cutlery - not a top standard of cleaning - had to clean back of a chair, some pillows not changed so disappointing when we were travelling with overseas visitors. All requests were dealt with efficiently - lack of second bathroom very inconvenient. Enjoyed the location however, close to great shopping centre, and enjoyed the garden - nice areas for BBQ and for relaxing. A family of four visiting friends in Christchurch, the was perfect for our stay - being both central to the wider city and easy walking distance to Merivale. The apartment is down a drive off Leinster Road and looks small from the outside but is surprisingly spacious and has everything you need - apart from maybe Sky TV. Its comfortable, quiet and well maintained. Two great features are the garden with large, covered outdoor seating area and the covered clothes drying line.